After reading some of the reviews on Ellie’s meatloaf and looking over the ingredients I thought that I needed to beef up the flavors in the mix. A few changes here and there and I have what I think is a pretty good and new meatloaf recipe for Michael. I was out of a few things or didn’t have enough so I have shown the substitutes in parenthesis and bold italics after the particular ingredient change, I had two pounds of meat so I bumped up a few ingredients and completely substituted a few things as well. Whisk the tomato sauce, molasses and mustard and pour over the meatloaf. 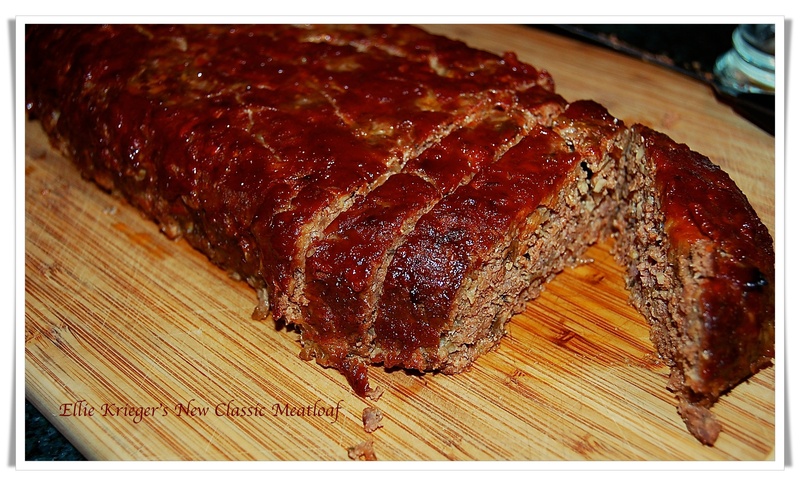 Cook the meatloaf until a meat thermometer registers 160 degrees, about 55-60 minutes. Remove from the oven and let rest 15 minutes before slicing.